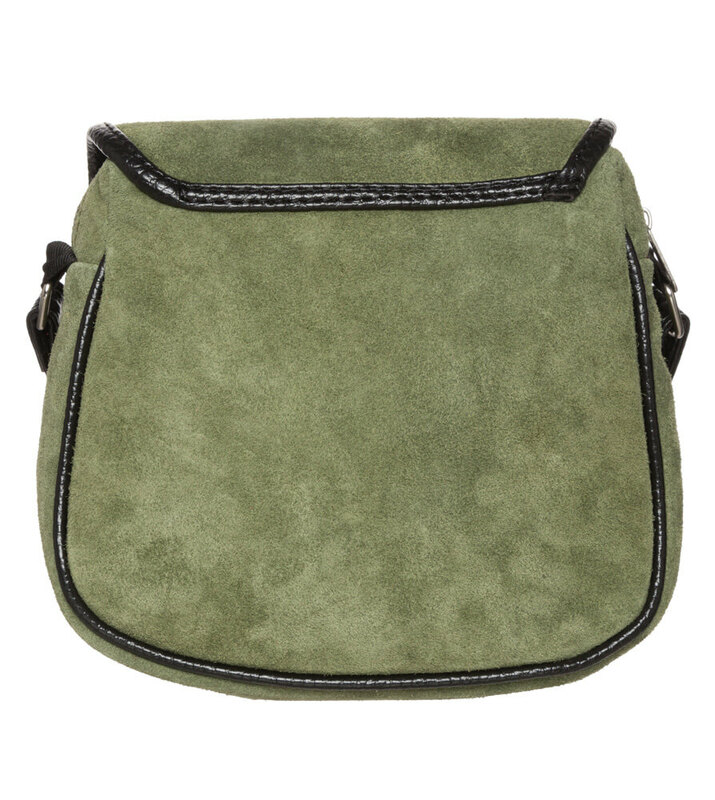 Olive green, velour leather Trachten bag for women. Choosing the right bag is such a struggle: it can’t just look pretty, it also needs room to safely store your valuables. Schuhmacher understands your plight. This Trachten bag has an understated look, favouring subtle colours, durable material and a high quality finish. The only decoration is the large, metal appliqué in an edelweiss motif, which lends the design a traditional flair. 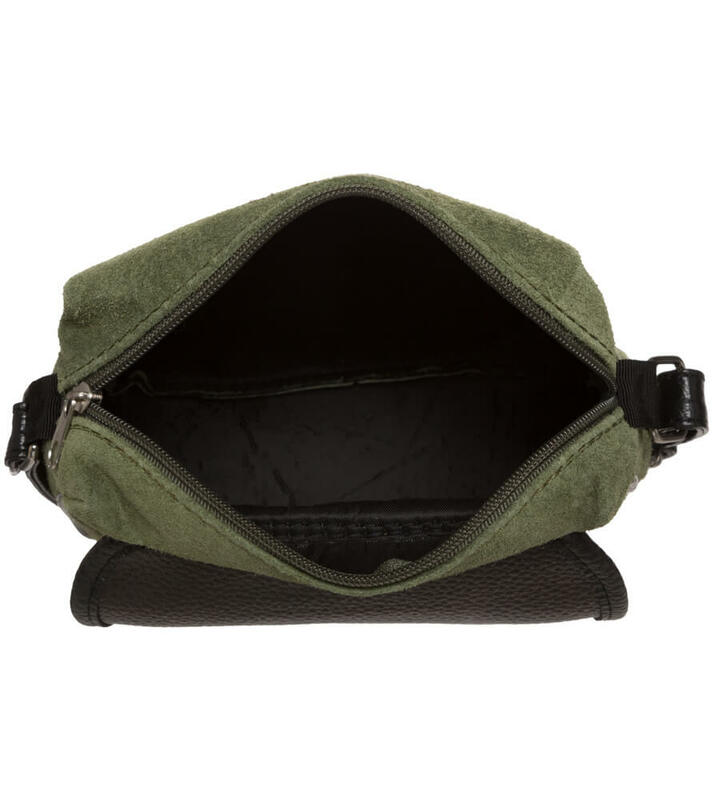 The main compartment is secured with a long zip fastener and can also be closed with the additional magnetic fastener for extra security. 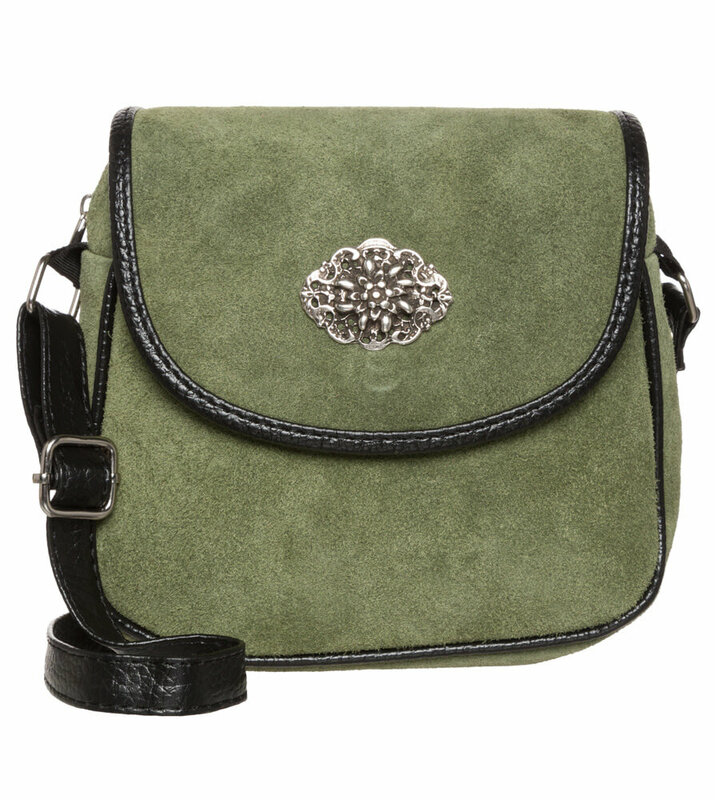 The elegant carrying strap can be adjusted by length and is attached firmly to the bag itself. 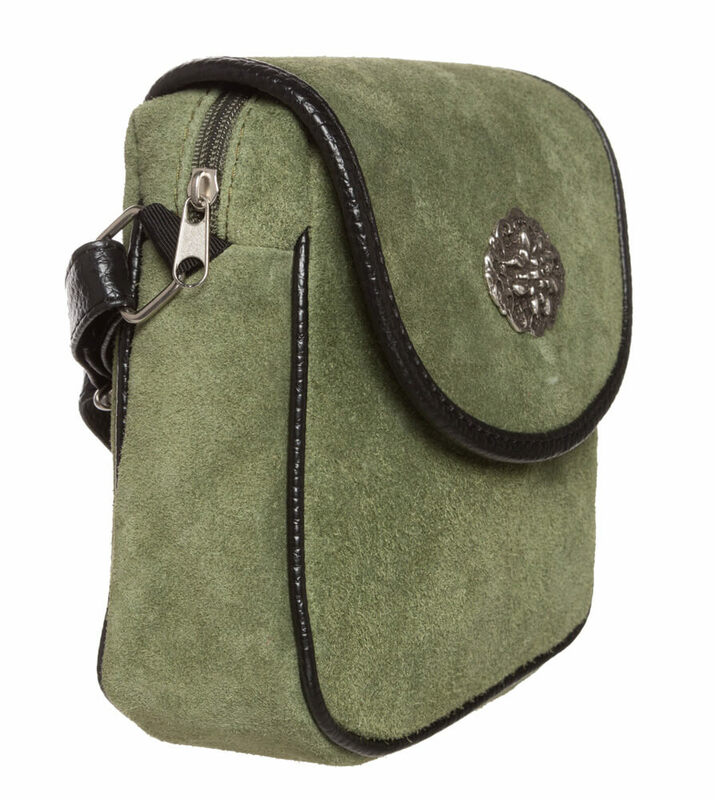 With its wonderfully balanced proportions, this Schuhmacher folk bag is incredibly versatile and looks great even just with casual outfits.